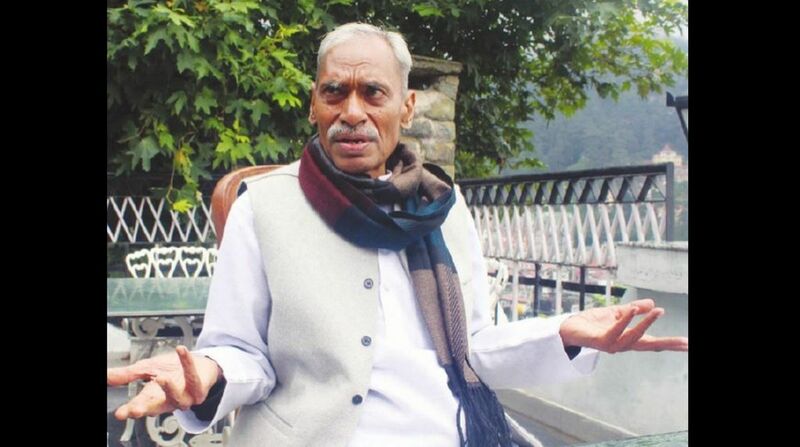 Subhash Palekar the man who launched zero budget natural farming in India. Q: What made you switch to zero budget natural farming? A: When I returned to my village in 1972 after a B.Sc in agriculture, my father was doing traditional farming, using cow dung manure. While studying, however, my professors had told me that external application of nutrients is essential for plants to grow. With this practice, the production on my farm kept increasing initially, but it showed a decline after the mideighties. I recollected a project I had done in tribal areas, when I had observed natural growth of fruit-bearing trees in forests without human intervention. This prompted me to undertake research on similar lines on my farm, which continued for 12 years. Based on its success, I switched to zero budget natural farming from 2000 onwards. I feel that there is something seriously wrong with the basis of agricultural science and education. Q: What are the advantages of natural farming? A: It is farmer and consumer-friendly. We don’t use any chemical fertiliser or pesticide. No modern technology is used. It reduces costs and the productivity is more. The food stuff so produced is safe and healthy. ZBNF is environment friendly. More so, there are no jobs left and the situation will become grimmer with too much modernisation, so this can bring the youth back to farms again. Q: What is the role of desi cow in ZBNF? A: For zero budget natural farming on 30 acres of land, one desi cow is sufficient. Its dung and urine are helpful in natural farming. When we are utilising one gram of cow dung on the farm, we are introducing a minimum of 3000 million beneficial and effective micro organisms, which help in natural growth of plants. Q: Can farmers immediately switch from chemical farming to ZBNF without any losses? A: Yes. It takes only three months for the soil to revert to its original fertility if a farmer stops the use of chemical fertilisers and pesticides. There is no waiting period for profits. Inter-cropping can also compensate for the cost of production of main crop. Within six years of ZBNF, the farmer won’t have to even use Jeevaamrit (a kind of natural fertiliser of cow dung and cow urine). Q: Is it an answer to the farmer suicides in the country? A: Definitely. As per my knowledge, seven lakh farmers in the country have so far committed suicide due to economic losses and the debt trap. No farmer who is doing ZBNF has committed suicide. Natural farming will neutralise the causes of farmer suicides. Loan waivers are not the solution. Even after the loan waivers, the farmers start taking loans again and suffer losses. Natural farming could be a sustainable loan liberation for the farmers. Q: How many farmers have adopted ZBNF in India so far, since you started the mission to spread it? A: I have written 18 books in English, 21 in Hindi and 25 in Marathi on ZBNF, which were translated in South Indian languages. Lakhs of farmers, mostly in South Indian states are doing ZBNF now. Five states ~ Andhra Pradesh, Karnataka, Chhattisgarh, Meghalaya and Himachal Pradesh ~ are seeking my advice to introduce ZBNF. I am not selling any technology. I am giving them my services free of cost. Andhra Pradesh has done good planning. Already five lakh farmers have converted to ZBNF in the first year in AP. This year, another five lakh will be converted. Himachal CM has also shown much interest. Q: Is natural farming good for apple crop? A: Yes, very much, ZBNF is good for any crop. The apples or any fruit so produced will have more nutritive value and good shelf life. Q;Why are so many farmers still apprehensive about adopting it? A: There are so many causes. Farmers are reluctant because they don’t know the reality. When they listen to me in my workshops and go back, there are so many pressures. There is opposition from many corners. The agriculture department, the companies hammer the farmer, so he is diverted. I tell them that if you have 10 bighas land, try ZBNF on one bigha and see the results. Q: What is the challenge at the policy level? A: The government has been following certain policies and can’t return immediately. Until they are aware that this is the best practice in the world, they won’t change. Recently, however, there was a meeting by NITI Aayog, which was attended by policy makers and agriculture experts, where they came to the conclusion that ZBNF can solve the problems agriculture is facing presently. I think it requires a mass movement as ZBNF is the best practice to save agriculture.